I woke up from a series of dreams that were incredible. In every one of them, miracles occurred, deliverance happened, and gifts of the Spirit were exploding. The thing was I didn’t DO anything different. I was just…doing life. Ways in which I had always hoped God could use me suddenly happened! I saw breakthroughs and demonstrations of power that I had always prayed about, but rarely saw. Yet, it was just so EASY as I watched and followed what the Father was doing. As I pondered the significance of this, I realized I was being shown what is coming in this next great outpouring of the Holy Spirit – an INCREASE OF SUPERNATURAL GRACE. Instead of chasing after the gifts of the Spirit and trying so hard to produce miracles, we will walk in a GRACE of the Spirit that will bring powerful results! That which we have previously worked for, wept for, and prayed for will simply happen. Because of THIS GRACE. This kind of GRACE enabled EVERY believer to walk in signs, wonders, and miracles. 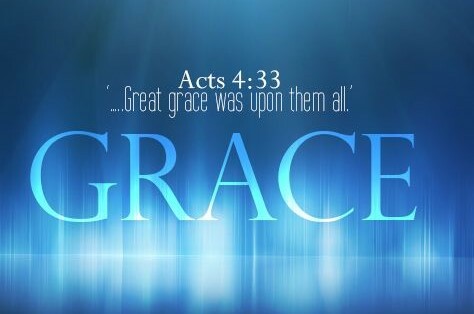 It wasn’t because of some great anointing, title, or position, but because of this GREAT GRACE. This grace is defined as “the spiritual condition of one governed by the power of divine grace; the token or proof of grace.” This grace was not just a principle of faith, but a CHANNEL OF HEAVEN’S POWER. It opened up a gateway to signs, wonders, and miracles without any human assistance or effort. I don’t think we’ve even begun to comprehend the POWER of THIS GRACE. We don’t have to work for miracles. We don’t have to strive for demonstrations of the Spirit. Rather, by faith, we walk in the knowledge of being sons and daughters who have an inheritance NOW to show forth the glories of God (1 Corinthians 1:4-8). He takes the deposit of His Spirit residing in us and activates that power for His glory. I believe we will see indications of THIS GRACE in the days to come as a first-fruits gift from heaven. Where grace has been misunderstood and underestimated, God is going to demonstrate this GRACE without warning. Watch for it. Expect Him to use you in ways you have long prayed for. Perhaps you’ve even given up, thinking your own spiritual efforts produced little fruit. That’s the whole point. You won’t be able to earn this. You simply walk in it by faith (Romans 5:2). Store up His Word in your heart, walk in daily obedience, and love Him and others around you with a fierce love that is relentless. It is upon the soil of your softened and prepared heart that He will spring forth with THIS GRACE. Stop working for something you already have. Start walking in the reality that He is the one doing the work, not you. Just watch and follow. Release what is already inside of you. THIS GRACE is a power yet unleashed – and it will change everything. Wanda, do you travel or speak at other churches? My husband and I pastor a church in Northwest Ohio and i would love to have you come for a women’s conference to share in the prophetic. Let me know if this is something you are open to? Totally agree with this Wanda. It is the same thing that Yahweh has been speaking to me. this is so good Wanda. I had just been on the phone talking to my son who is a pastor and telling him I had been praying for a special Grace to fall upon seniors to give their bodies energy and strength as he did to the children of Israel in psalm 105:37. Then I read your newest exhortation and was greatly encouraged. I felt for sure I was being guided right by the Holy Spirit to pray what I have been praying. Such an encouraging word. Thank you for all of them.